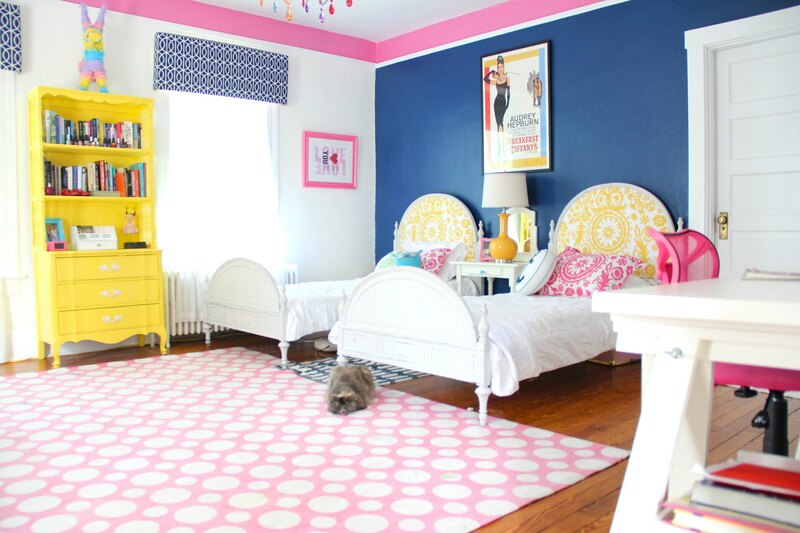 THREE OF PHOEBE’S BEDROOM WALLS ARE Benjamin Moore “COTTON BALLS” and she STILL wants white walls…but not THESE WHITE WALLS! PHOEBE’S CURRENT ROOM COLORS ARE DOWNPOUR BLUE, PINK LADIES AND COTTON BALLS. …so we are changing the WHITE…. AS YOU KNOW….THE POSSIBILITIES ARE ENDLESS..
Cotton Balls has a pale pale pale yellow undertone..THAT you would not even notice unless it was next to a white with a blue undertone..like Chantilly lace…which looks yellow next to a white with an even bluer undertone…and so on and so on…. IF you are interested in TRULY understanding undertones and WHITE PAINT COLORS I highly recommend you get Maria Killam’s E BOOK- WHITE IS COMPLICATED. You are building or renovating and need to choose the correct white foundation palette. 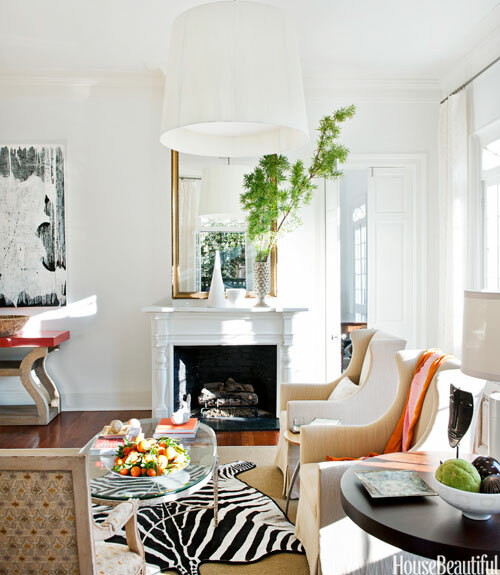 WHITE paint colors come up a lot and hence I have done at least 3 POSTS on them…. NOW…LETS TAKE A LOOK AT 10 OF MY FAVORITE GO-TO ON THE COOLER SIDE – WHITES..
MY TOP PICKS – ALL BENJAMIN MOORE – FROSTINE, CHANTILLY LACE, CLOUD WHITE, DECORATORS WHITE, OXFORD WHITE, SIMPLY WHITE, SNOWFALL WHITE, WHITE CHRISTMAS AND WHITE DOVE ( a warmer white but one I like for neutrality sake) . WHITE DOVE, AS A READER REMINDED ME IS REALLY A WARM-ISH WHITE. IT DOES NOT HEAD TOWARDS YELLOW LIKE LINEN WHITE BUT IT IS NOT COOL. AS ALWAYS, I SUGGEST YOU TRY EVERY COLOR ON YOUR WALLS BEFORE YOU CHOOSE IT…LIGHT CHANGES EVERYTHING. AND A BEAUTIFUL FARROW AND BALL WHITE – WIMBORNE WHITE…I AM KIND OF SMITTEN WITH THIS COLOR…MAYBE NOT FOR PHOEBE’S ROOM…BUT SOMEWHERE! 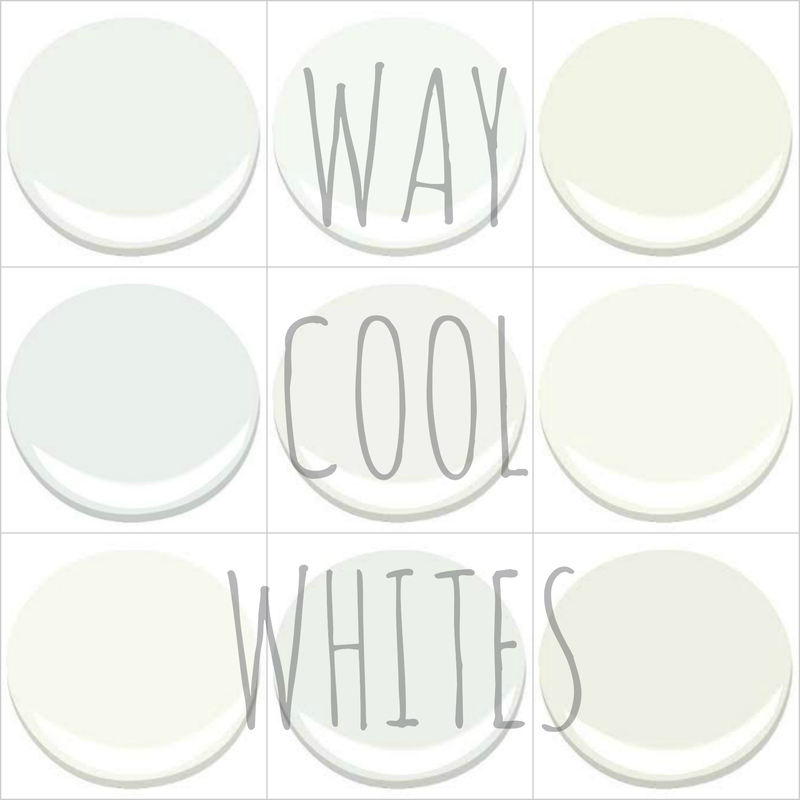 …WHAT ARE YOUR FAVORITE WHITES? ARE THEY WARM WHITES? COOL WHITES? OR SOMEWHERE IN BETWEEN??? My go-to white used to be Super White. All of the ceilings and most of the trim in this old house of ours, and in our previous new-construction house, is Super White. It goes with almost everything and looks so fresh. Lately, though, my tastes appear to have softened and I find myself drawn to what I have chosen as my new trim color, Farrow and Ball’s Wimborne White. If seen side by side, the difference in the colors is dramatic. 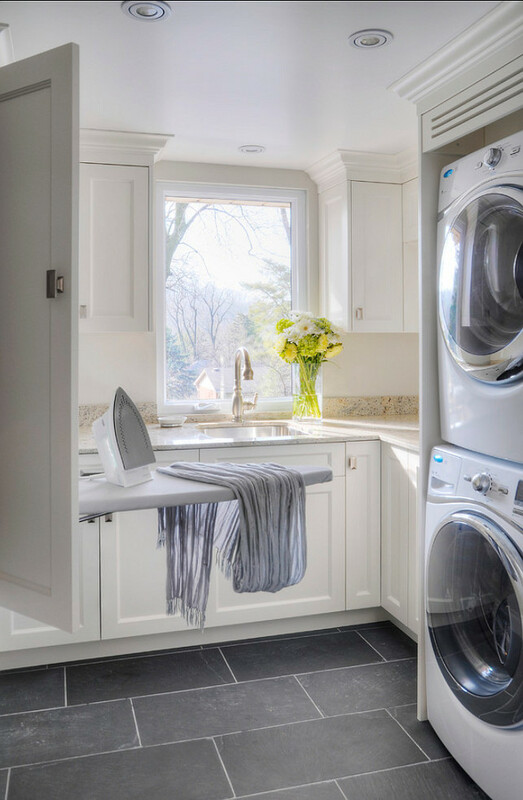 By itself, Wimborne White is just a gentle, soft white, and I am absolutely loving the difference it makes in the feel of our spaces. Super White was just too white for this house. I’m wondering whether the colors you list are the trim/cabinets in the pictures or the walls? I desperately need an advice. I am painting my walls in my house in white and I am planning to use black velvet curtains, black light fixtures and mostly white, gray and black accessories. I have already painted two coats of Ultra Pure White by Behr and I am not happy at all, I think it looks grey or blue and I do not want this. I would like a warm white but not yellowish. I am planning to use Oxford White by Benjamin Moore and I am asking if this would be a good choice. Oxford white is a very very pale gray/white and thus…with the walls in this color – it may still read gray-ISH or BLUE-ISH in certain lights. 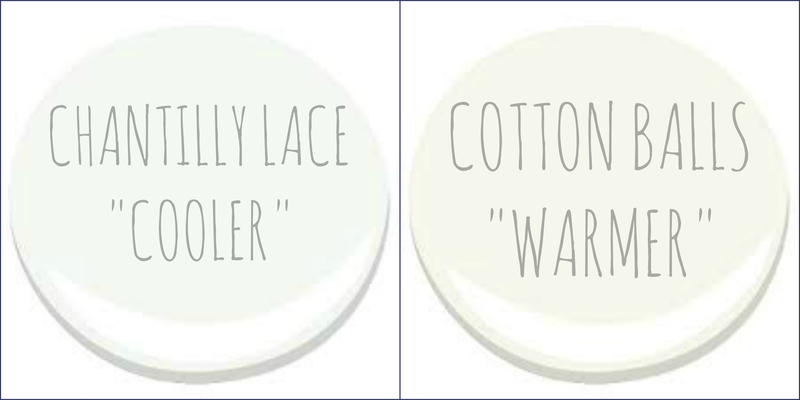 If you want a warmer white you might want to try – cloud white, mountain peak white or simply white. These are 3 I have used and are warmer – without being yellow. 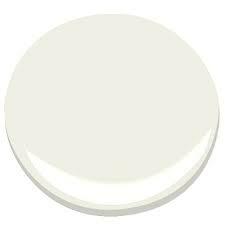 If you want a “darker white – try Dune white or timid white or arcadia white. Whites are tricky. Thank you for your quick response/advice. I will sample tomorrow the colors you have recommended. Tonight I have tried a sample of Chantilly Lace. I will have to see how it looks on day light tomorrow. What do you think, is this another shade of gray-ish? I would NOT use Oxford White – too cool (blueish/greenish undertones). Cloud White too dirty with things black and grey. Simply White (slight crisp yellow). Chantilly White would be my suggestion. I whole heartedly concur! Thanks for taking the time to chime in ! Thank you everybody for the helpful suggestions! I have finally finished painting and it looks good. I have used Simply White and I’m happy with the results. Hi, I am planning to get my walls painted with chantilly lace, eggshell finish. and trim again with chantilly lace but semi gloss finish. My condo is south east so plenty of sunshine. How do u think it will look? will it be too stark ? please advice..
Great article. Very timely! Any suggestions for white kitchen cabinets and white walls? Need something bright and warm to go with cherry floors and one sad little west facing window. Thanks so much! Thanks for your question. I am not always comfortable recommending specific colors, via this blog, but rather trying to demystify the way colors work. I think I may have confused you (and maybe other readers) by using the terms “blue” undertones. There is difference between a color which has a blue TINT vs a color (in this case WHITE which has a COOL undertone. To obtain a COOLER white, blues are used in the mixing process…but the goal is to make the color BRIGHTER and CRISPER, but not READ blue-ish. 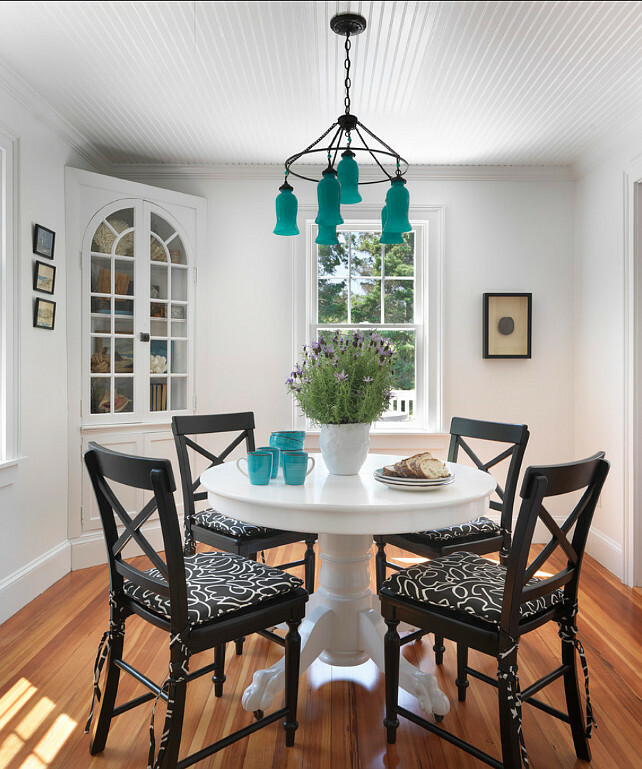 All that being said #869-875 in the Benjamin Moore Classic color wheel are BLUEISH whites, most I would use on walls rather than trim because on a wall they will have a blueish tint. My favorite bright white is Chantilly Lace. Hi. I’m going mad trying to pick a white wall color for my newly decorated home. So glad I stumbled across your post!!. 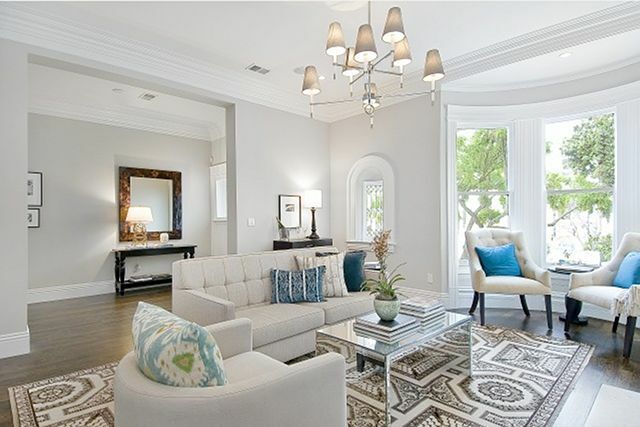 I have in my head to paint the walls and trim white abs decorate with accents of blue (pillows, art, etc). Which white do you suggest? Likewise, I am going nuts trying to decide on a white for my new build. My open living area, kitchen and breakfast nook are facing north and I have decided on BM balboa mist for the walls. But as far as the cabinets and trim color I’m lost. I think I need a warm white, but what would you suggest? April, What color did you use on trim with balboa mist? Are you happy with it? All of our trim is Chantilly lace and I love it. I’ve always done semigloss on trim, but now that we’re in an older home, I wonder if satin would be more appropriate. Do you have a preference? I’m having such a hard time deciding on whites for my trim, stairs & walls. I keep gravitating to chantilly lace, but do you think it’s too stark for a home with an eclectic vintage feel? I have semi gloss on our trim. I do not like the feeling of satin on trim. Chantilly lace is far from stark. it is just a lovely white. Beth – you asked my question! How did the Chantilly Lace turn out? I started with this color and was worried it would look too sterile. 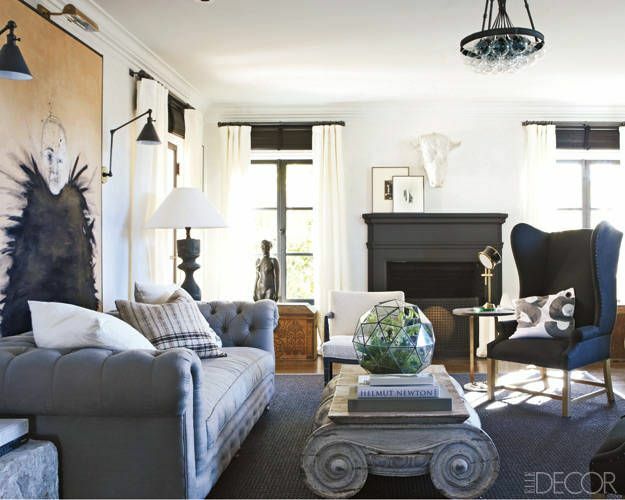 I have a 100 year old house with lots of trim and I love a more modern eclectic look. Any suggestions for a ‘white color’ for my walls and trim/cabinets. I dont even know what to start sampling. Very open home with lots of light/windows and high ceilings. I dont like lots of clutter. Furniture would be leathers and natural colors. Lots of Plants. Blue or green pillows as accents. Light-mediun tone wood floors. Any suggestions would make me so grateful! Thanks for your time and love your stuff! Sorry for the delayed response. I really like Simply White and Mountain Peak white. I just bought a house about 6 months ago and I’m looking to paint the basement walls white with a accent red wall. I was thinking about decorators note all around with burgundy red accent wall. My pool table felt is red and my couch will be red as well and I have a couple of GT racing arcade games that are red as well. It’s all carpeted. What are your thoughts about decorators white. I want it to be like wow white but not to the point that you have to wear shades. Thanks for your input. Deocorators white is nice. Sorry for the delayed response. I know this post is a couple years old, but I just found it and I love love love your site. Thank you! Could use some of your expert white advice…I am remodeling a kitchen and living room (tore down the wall between them.) Trying to choose paint colors now and I’m not ashamed to admit I’m struggling. I’ve decided on BM Classic Gray for the walls, and BM Simply White for trim and ceiling. Need help with which white to pick for kitchen cabinets. I like a creamy, warmer white, but the ones I’ve sampled read yellowish (BM Cloud White and White Chocolate) in my space and they clash with the countertop I’ve chosen which is a beigy gray (Silestone Coral Clay.) I kind of like BM Mountain Peak White, but not sure I love it. I really want to love it. Any suggestions for white kitchen cabinets that will go with Classic Gray, Simply White, and the countertops? 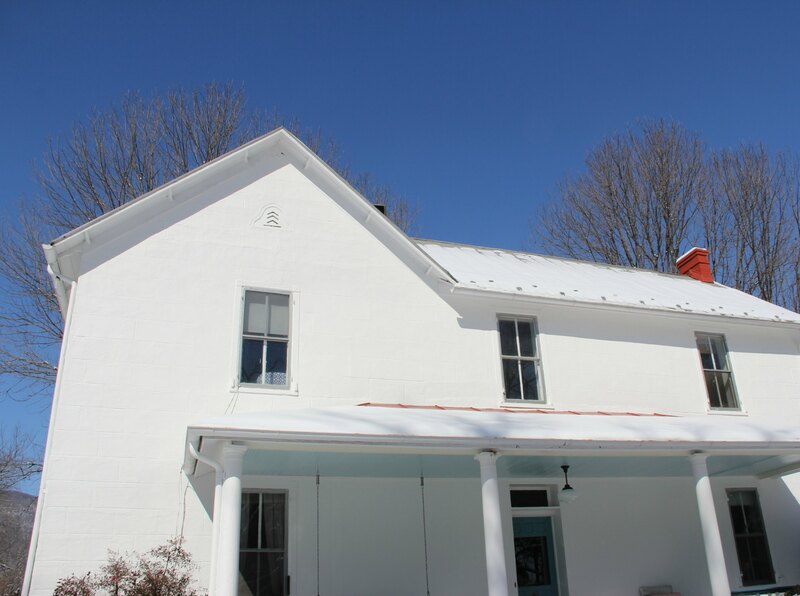 Our house exterior is painted Simply White and I know the color well. It may be what is going to make this hard because it is a warmer white and will “fight” with other warmer whites. 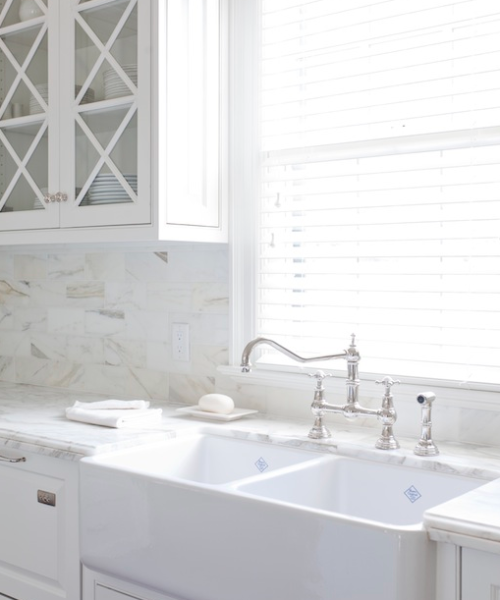 Our kitchen cabinets and the trim and mountain peak white. 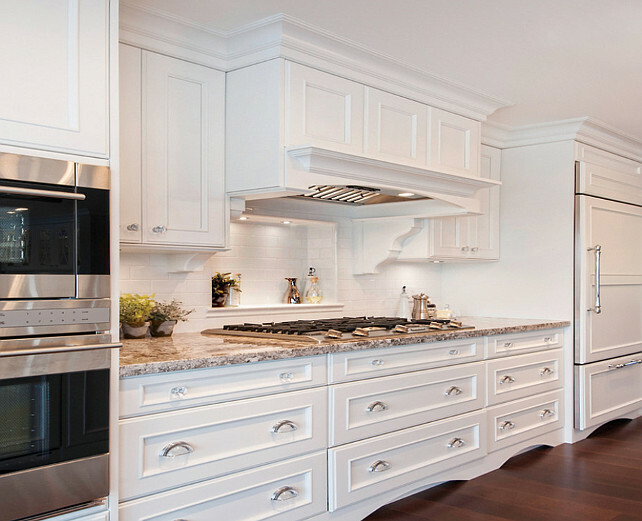 Have you considered simply white for your cabinets. 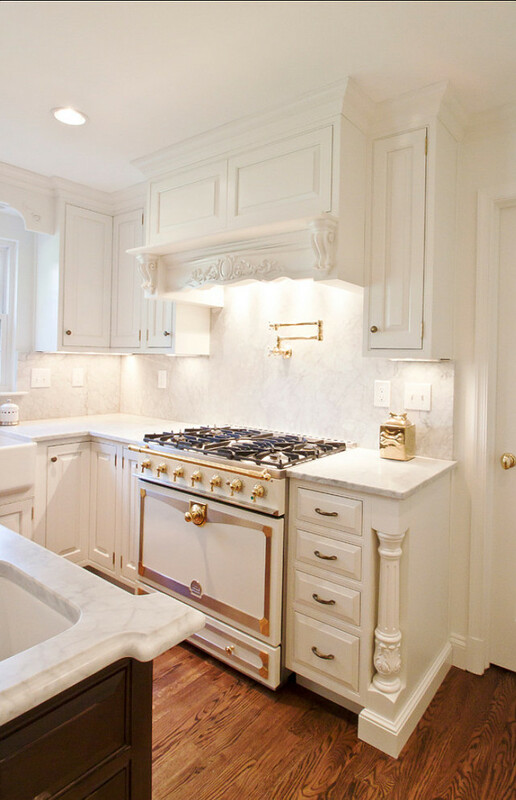 One other idea is simply white on the cabinets and Chantilly lace for the trim? Make sure you try it in the room with different light first. We are about to paint the exterior of our home w/ Benjamin Moore’s Chantilly Lace. It is a 1930’s Southern cottage-style home (mostly wood). What are some trim color suggestions to go with the Chantilly Lace? I was just going to do all one, but my husband doesn’t like that idea. Hi Jessica. Did you end up painting the exterior of your home BM Chantilly Lace? How did it turn out? I’m considering Chantilly Lace to paint the exterior of my home next month but worried about it being to stark white. My home is brick and Hardie Plank. Hi. I’m going insane trying to choose a Ben Moore white/off white for my cabinets. I have Cambria Ironsbridge countertops and a north facing kitchen. Cambria pairs it with white opulence but it’s got a pink cast. What else can you suggest? Hi am painting stairwell and upstairs hallway and have 1/2 wall and 1/2 wainscoting. Walls will be SW silverpointe and am considering BM cotton balls for wainscoting, top molding, doors, etc. I do not like bright or too white whites. Many people suggested BM decorators white, but it seems to have too much gray tint and am afraid it will look dingy. Any suggestions? There is not any natural light in hallway. Used revere pewter and cotton balls in basement where there is also little natural lighting. Please help–need to contact painters with my decision asap! Thank you!